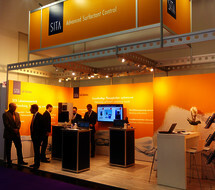 For the first time since 2012 SITA Messtechnik GmbH exhibited at the ANALYTICA - the international leading trade fair for laboratory technology and analytics in Munich/Germany. The main focus of the SITA presentation was put on the worldwide proven SITA laboratory tensiometer as well as the new automatic foam testing system for research & development applications as well as for quality control in laboratories to optimise surfactant-containing liquids. Customers and potential customers took the opportunity to get detailed information about the SITA laboratory measuring technology as well as their numerous application possibilities. Our application engineers answered application specific questions and demonstrated the devices in use. 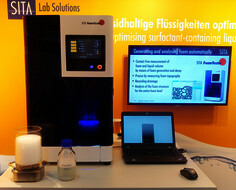 Particular attention was given to the introduction of the new SITA FoamTester. The foam testing system analyses the characteristics of surfactant-containing liquids easy, fast and precise with automated measuring sequences. The measuring device uses innovative optical measuring methods to determine foam characteristics such as foam volume, stability, drainage as well as foam structure. 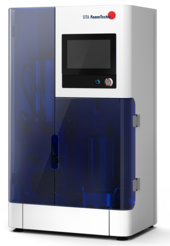 The responses to the SITA FoamTester were thoroughly positive, the device should be available to potential customers and is introduced into the market in spring 2019.